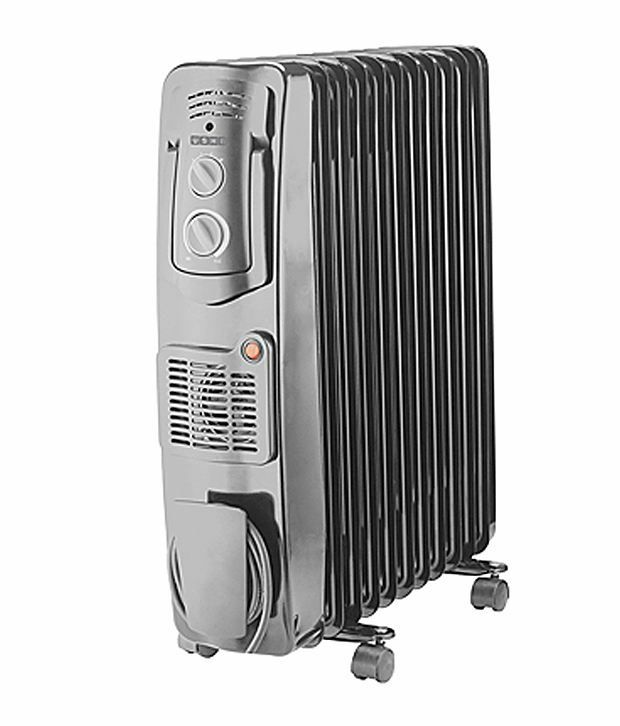 The OFR 3209F is a oil heater also known as oil radiator that provides effective heating in more directions as compared to other types of heaters.It is designed with 3 power settings of 800, 1200 and 2000 watt featured with thermostatic heat control and overheat protection.These oil filled radiators come with a temperature control feature that provides instant and efficient heating in the surrounding. The rust proof powder coating fins maintain durability to the heater and the metallic back fin cover provides protection. The long lasting Nylon caster wheels ensure easy movement in the desired direction.This OFR oil radiator is a complete portable and easy to move heating device.These types of heaters provide effective heating in small and medium sized rooms.This modern heater offer a safety feature of tilt over switch which automatically cuts off the power in case of any physical device unstability or unstable surface. To Recieve updates and possible rewards for Usha OFR 3209F please sign in. To Recieve updates and possible rewards for Room Heater please sign in.